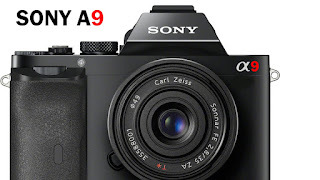 Sony A9 - Is It True? It may seem like it was ages ago in tech-time, but only recently Sony has announced their newest full frame mirrorless camera - the Sony A9. And although it is such a shame (as much as it is obvious) that I personally did not attend the surprise announcement that Sony has made in New York, many professional photographers got a chance to see it in person, as well as many YouTubers. Well, at least one that I know of, Kaiman Wong (Tony and Chelsea Northrup did too, but they're actual photographers unlike Kai W). And all of those who attended the event have covered it online in many different forms, videos, articles, etc. but one can't help but wonder, is the A9 really that good? The camera's spec sheet certainly is amazing. Shooting 20 frames per second with continuous auto-focus (which points cover almost the whole frame) and its ultra fast shutter speed of 1/32,000th of a second surely sound like a dream to every photographer, from the most experienced to the noobs such as myself that supplement their full-time job's income with photography, but this camera should mostly appeal to sports photographers. This camera shoots 20 images per second while continuously auto focusing on the subject, so by default it should yield amazing results to those in the business of photographing sports - you have much more photos to choose the best from. The Sony A9, as amazing as it may look on the spec sheet, it may not offer the best lens options on the market when compared to its major competitors. At least at this time. You see, the aftermarket, or as one may call it, third-party manufactures, do not make a whole lot of lenses that will fit this camera. Those companies mainly make products that will sell well, and as you know, the major players in the camera business are Canon and Nikon. But that should change soon, hopefully. The whole concept of a DSLR (Digital Single-Lens Reflex) camera is a bit outdated, with its newest update being the "digital" part of the name. Competition in a free market is always good. It shakes down companies that are currently "on top" in its industry. And hell yes, I would love the US Government to allow foreign companies to challenge domestic airlines on their routes within the United States (more of that in a different post). But going back to photography, third party manufacturers will start making 'better alternatives' of lenses once they realize that Sony's mount is a good market for them to enter. In conclusion, Sony's newest bid in the PRO camera market is a good thing for most of us, and a well welcomed challenge by photographers in the market. If you're having a hard time understanding the previous sentence, just think of Elon Musk's SpaceX in the rocket-launching industry: it will make a havoc, possibly making it to the level of senate hearings in our own government. It will shake down its main competition: Nikon and Canon. And me, myself, as a Nikon shooter, I am fully prepared to look down Nikon's demise as Sony takes over as number one while Canon positions itself as number two in the market.